Happy Friday the 13th! Today, FXX unveiled new key art and a teaser for season 13 of It’s Always Sunny in Philadelphia. The long-running comedy series stars Charlie Day, Kaitlin Olson, Rob McElhenney, Danny DeVito, Mary Elizabeth Ellis, Lynne Marie Stewart, and David Hornsby. 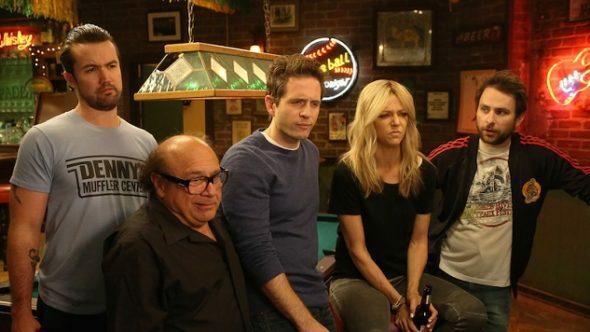 Season 13 of It’s Always Sunny in Philadelphia premieres on FXX on September 5th. What do you think? Are you a fan of It’s Always Sunny in Philadelphia? Are you excited for the new season?